The name says it all! 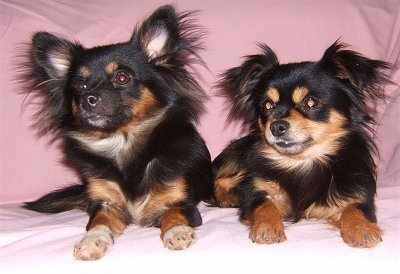 A Pomeranian Chihuahua is a hybrid between both these breeds. 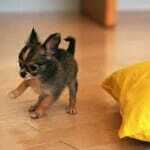 As both its parents belong to the “small dog” family, the resulting puppies are quite small, but rather cute. When two different breeds are mated, the resulting breed is named after both parents. There is no definite way of naming a cross breed apart from the first-come-first-serve method that is practiced. This naming might or might not stick over an entire generation, in which case, it is renamed. Organizations that keep track of cross-breeds are never part of the American Kennel Club (AKC), as they recognize purebreds only. The Pomeranian Chihuahua is listed under the following associations that legally recognize the breed. The important point that you must remember about cross-breeding is that not always does the resulting breed show equal characteristics of both parents as ancestry has an important role to play here too. 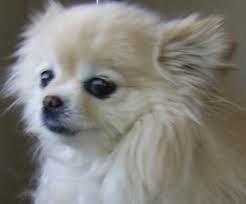 For example, a “Chiranian” does not necessarily showcase 50–50% characteristic traits of a Chihuahua and Pomeranian. They might showcase a 60–40% or any other ratio. This is caused as not all breeds are purebred. If you want a Chiranian to portray 50–50% ratio, you need to look for a purebred Chihuahua and a purebred Pomeranian and breed them. The resulting litter will consist of the breed that has caught your attention, although, you are required to sieve through a bit! As the above-mentioned organizations keep track of hybrid breeds, you can always contact them for reference, or crosscheck the parents’ papers, for additional information. 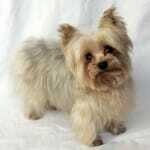 Belonging to the “small dog” family the Chiranian displays typical character traits of both its parents. The Chihuahua is known to be quite dominant and aggressive, which is the primary reason for them not being a good companion for children. The Pomeranian does not like being in a noisy environment and wants to hog the limelight at all times. These character traits are opposite that of a calm and composed nature of the Golden Retriever, which despite its large size is not as temperamental as the Pomeranian. 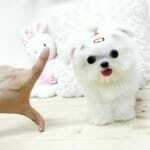 The Pomeranian however is sociable and mixes easily with people and other breeds. The Chiranian borrows this trait, which makes it a good-natured pet. This little fellow is very intelligent, agile and responds positively to training. 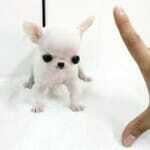 Hence, a large part of how your Chiranian grows up to be depends upon the way you nurtured it as a pup. 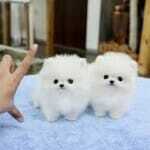 A Chiranian’s physical attributes are quite similar to that of a Pomeranian, especially the shape of its head. The Chiranian’s head is often compared to that of a fox due to its shape and size. and are not protruding like the Chihuahua. The Chiranians is strong-built and features a silky fur-coat that is of short to medium length. It has an elongated chest that is longer than most breeds in the family while the fur thickens near its neck and chest. While some Chiranians have been known to feature feathered legs, most others are bare-feet. A Chiranian is known for its highly curved tail, which tends to reach back and touch the body. In some cases, the tail is flatter, but always curved. You will never see a Chiranian with its tail between the rear legs or down on the ground, for that matter. A Chiranian, being a lap dog, spends most of its time near or on a human. They are known to socialize well and do not have a tendency to bite. However, a few recorded cases of Chiranian bites have been registered and in all these cases the dog was roughly handled. Hence, A Chiranian is safe around children, as long as the children treat it with respect. Parents need to keep an eye on small children when they are around dogs, no matter how gentle the breed. While some dogs run away when treated roughly, most others stand their ground. In any case, a Chiranian has grown to be a favorite pet, just as much as its half-breed ancestor, the Pomeranian. A Chiranian needs special care and attention. If you plan on taking him out for quick walks during wintertime, make sure that he remains warm. They tend to suffer from eye diseases. Hence, it is better to get him periodically checked by a vet. You could also check the eyes for any signs of unnatural developments. 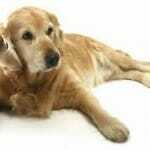 A Chiranian can be your trusted companion and best friend for around 12-18 years.